Finally! I'm releasing my tool,"Virtuailor", it reconstructs C++ vtables in IDA and helps making C++ RE easier! Huh? They changed their licensing so that companies have to pay more than 2x now? “REmatch, a complete binary diffing framework that is free and strives to be open source and community driven. uEmu is a tiny cute emulator plugin for IDA based on unicorn engine. Supports following architectures out of the box: x86, x64, ARM, ARM64. If you use IDA, check out the Hex-Rays Decompiler plugin is very powerful, and now available for Mac OS X users. The Hex-Rays Decompiler plugin for better code navigation in RE process. CodeXplorer automates code REconstruction of C++ applications or modern malware. ret-sync stands for Reverse-Engineering Tools synchronization. 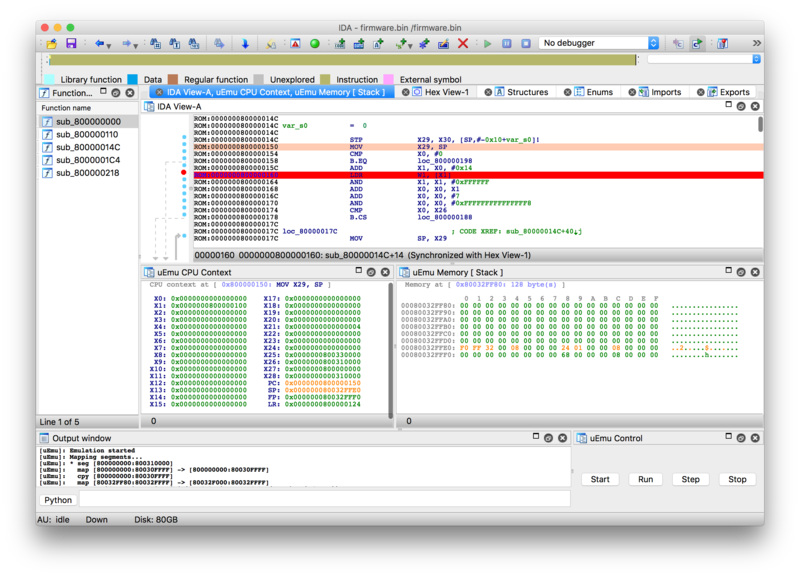 It’s a set of plugins that help to synchronize a debugging session (WinDbg/GDB/LLDB/OllyDbg2/x64dbg) with IDA disassembler. The underlying idea is simple: take the best from both worlds (static and dynamic analysis). code analysis, signatures, types, etc. ret-sync is a fork of qb-sync that I developed and maintained during my stay at Quarkslab. IDA 6.9 bug list says nothing about the TE loader ahaha Hopefully they silently fixed it, else Ilfak just shows how much of a douche he is. Note that one of the winners is from firmware security researchers! Congratulations! Does anyone know of any others? If so, please leave a Comment (see left) or send email (see upper right). Thanks.